Whether or not you’ll be traveling out-of-town over Spring Break, go to my Web site – www.movetomilford.com and check out all of the fun things there will be to do around the Huron Valley area over the next few weeks. 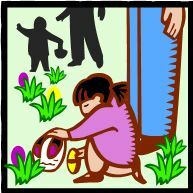 You can start with The Great Egg Hunt out at Kensington Metropark this week and go from there. Actually you could end up back at Kensington quite often, since they have lots of upcoming events and many of their animals will be having spring babies or litters. For the wee ones there’s a whole series of events coming up at Max & Izzy’s in Downtown Milford. For the older kids there’s the shoot ’em up, blow ’em up movie GI Joe Revenge showing at the Milford Cinema. With warmer weather finally arriving getting outdoors will be high on the list. Take the kids to Central Park to play on the play structures or get really adventuresome and go rent a canoe and get out on the river. Kensington will be hosting all sorts of outdoor activities , as well as their first “Farmer for a DAy ” events out at the Farm Center. This program is offered to boys and girls, ages 7 to 15 years old, interested in working on a farm. Kids will work alongside the farmers and in teams to accomplish daily or seasonal chores. This program is designed to be educational and fun. Children will leave with a greater appreciation of farm life. Most will probably come away saying, “So, I decided not to be a Farmer”, but they’ll have a better appreciation for farm life. The arts are not to be forgotten either. 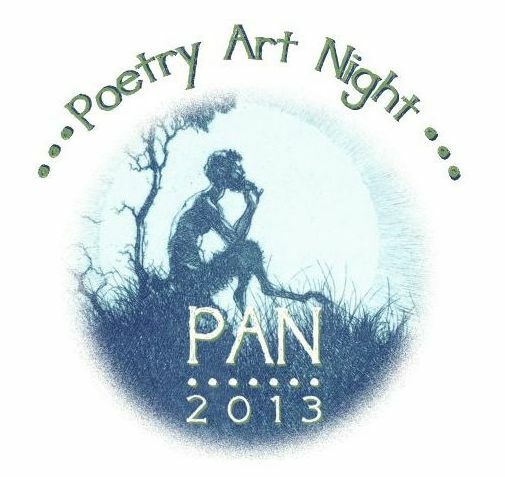 April 13 is PAN – Poetry Art Night – at the Huron Valley Council for the Arts in Highland. Then on April 20 the final performance in the Classic Series featuring a performance by soprano Karen Roberts at the HVCA. Go tp the Move to Milford web site and click on the poster for all of the info on that event. For those who love garage sales there are two events – the Community Sharing Garage Sale April 17, 18, 19 at the Apollo Center in Highland and the Mom 2 Mom sale at Lakeland High on April 20. There is also a job fair for Lakeland High School Students on April 24 to allow the students and potential summer employers to get to know each other. Low and relatively steady mortgage rates are invigorating the housing market. For instance, existing home sales over January and February experienced the strongest two-month pace since November 2009, while new home sales were the strongest since August and September 2008. This strong demand helped push the S&P/Case-Shiller® 20-city home price index (seasonally adjusted) in January to its highest reading since December 2008. Moreover, the number of consumers expecting to purchase a home over the next six months rose to 5.6 percent in March, the second highest share since data was first collected in February 1964, according to The Conference Board. Here is a link to the video in which Freddie MAC Vice President and Chief Economist, Frank Nothaft talks about this forecast. 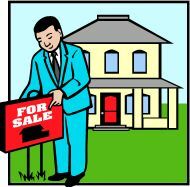 The bottom line for sellers is to get in on this Spring fling and get your house on the market. For the buyers the advice is to take advantage of the low mortgage rates while you can and before the rising house prices put the really nice homes out of reach. It’s all good news! I helped out with the 2013 Huron Valley Easter Egg Hunt this past Saturday. What a blast! It was cold, but the kids didn’t seem to mind. There were goddie bags for the first 400 kids to show up, plus face painting and a visit with the Easter Bunny, who arrived in style in a 2013 Mustang convertible, courtesy of Hines Park Ford, one of the sponsors. The other sponsor was Genesys Credit Union. The kids were split into three groups, based upon age 2-4, 5 – 7 and 8 – 10, with each group having its own baseball field full of eggs for the hunt. Below is a link to the YoouTube video that I created from the pictures and videos that I shot while the event was in progress. Enjoy. If you missed this year’s egg hunt make sure to put it on your calendar for next year. As I get older I’ve become a bit more introspective about thoughts like Steinbeck’s saying. I suspect we all know people that we haven’t really taken the time to see (to know). We may even hang out with them and call them friends or acquaintances, but we really have never taken the time and made the effort to get to know them. It’s hard with some people to really get to know them, because they might be the types who don’t open up very much or like to share anything about themselves. Many times the circumstances in which we “know” someone don’t facilitate really getting to know them, especially if we know them in a business setting. I belong to a local Chamber of Commerce referral networking group in Milford and we use one-on-one meetings to facilitate getting to know our members better. For the one-on-one meetings we each commit to meet with another member for an hour long session of getting to better understand that person and their business, so that we can do a better job of giving them referrals. While there is an obvious business reason for the meeting, most members spend most of the meeting time just talking about themselves and their families and lives. It helps to really get to know them better. I haven’t come away from a single one-on-one without a much better understand of that person, as well as an appreciation for what they do for a living. 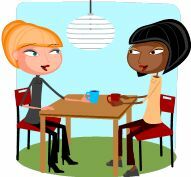 Most of the time you won’t have the artificial mechanism of a planned one-on-one meeting with someone that you might want to get to know better; however, just a quick invite like, “Let’s get together for a coffee sometime” can provide you with the setting to use to learn more about that person. The key is not to just throw out that line, but to mean it and to follow up on setting a date for that coffee get together. Of course, one can also take Steinbeck’s message to be that we look at people in a defocused way and don’t “see” what’s there to be seen, written on their faces or in their mannerisms. As we read about tragedies like the recent teenage suicide of a Middle School student, the phrase “I just didn’t see the signs” is used over and over. People were looking at that young man and not seeing his anguish or problems. They didn’t stop and get to know him well enough to be able to intercede by seeing his problems. Maybe if someone had seen the signs they might have stopped him and asked if he wanted to talk or if they could help. Perhaps they were too consumed walking along and starting down at their phones to notice him. Perhaps we all are too consumed by modern distractions like that which tend to take our focus away from the people around us. Stop and look around you. Whom do you really see when you look? It’s Easter Egg Hunt Day! Today is the day for the annual Huron Valley Chamber of Commerce free Easter egg hunt. The event divides the kids into three different age group brackets, so that it’s a little more fair for the younger aged children. The hunt will tak place at the Duck Lake Pines Park on Duck Lake Rd in Highland. That is about a 1/4 mile south of the Duck Lake and M-59 intersection (South of the Rite-Aid store). The event kicks off at 10 AM with the arrival of the Easter Bunny to visit with the children. Rumor has it the Bunny will arrive in a brand new Mustang, courtesy of one of the event sponsors – Hinds Park Ford. There will be goody bags for the first 400 children at the event and face painting, in addition to pictures with the Bunny. The actual hunt begins at 11:00 AM with the 2-4 year olds allowed to take the field. Then at 11:10 AM the 5 – 7 year olds will be turned loose on their own field. Finally, at 11:20 the 8 – 10 year olds will be given a field of eggs to hunt on. The three groups are placed on three different baseball field at the park to allow each groups to only compete with others of the same age. The event is hosted by the Charter Township of Highland and the Huron Valley Chamber of Commerce. This years sponsors are Genesys Credit Union and Hinds Park Ford. Many local chamber members contributed items for the goodie bags. The March General Membership Meeting of the Milford Historical Society is this Thursday, March 21st. 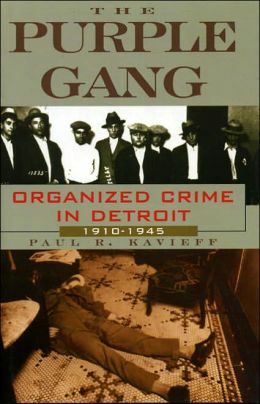 Our guest speaker for the March General Membership meeting is Paul Kavieff author of three Purple Gang books, who will tell the gruesome tale of this juvenile Jewish organized crime gang reigning from 1910 – 1945. Long time Milford residents can probably recite stories about the time when some members of the Purple Gang used to like to hang out in Milford. So come hear about Milford’s gangster time. It’s certainly more interesting than digging up farms around Milford, looking for Jimmy Hoffa. Paul Kavieff holds degrees from Oakland and Wayne State Universities. He is a nationally recognized organized crime Historian. Using rare police photos, mug shots and group photographs the book takes you back to the days of hijacking and bootlegging. Something the Purple Gang were experts at. But they could not play nice together so power and jealously eventually lead to their own destruction. The Meeting kicks off with a pot luck dinner at 6:30, followed by the meeting and Paul’s presentation. The meetings are held in the Milford United Methodist Church at 1200 Atlantic St in Milford (near the post office). Remember to ware something purple or make a mobster dish to pass – like Gangster Goulash or Machinegun Meatballs or even better a cake with a file in it. You should also bring your own dinner serving set-up and a drink for yourself. The pot luck dinner is considered one of Milford’s best. I’ll see you there. You are currently browsing the NormsMilfordBlog blog archives for March, 2013.